Today we made over 300 pips within the first session of the trading day. London Open brought lots of volatility and we were short The DAX in a matter of seconds. 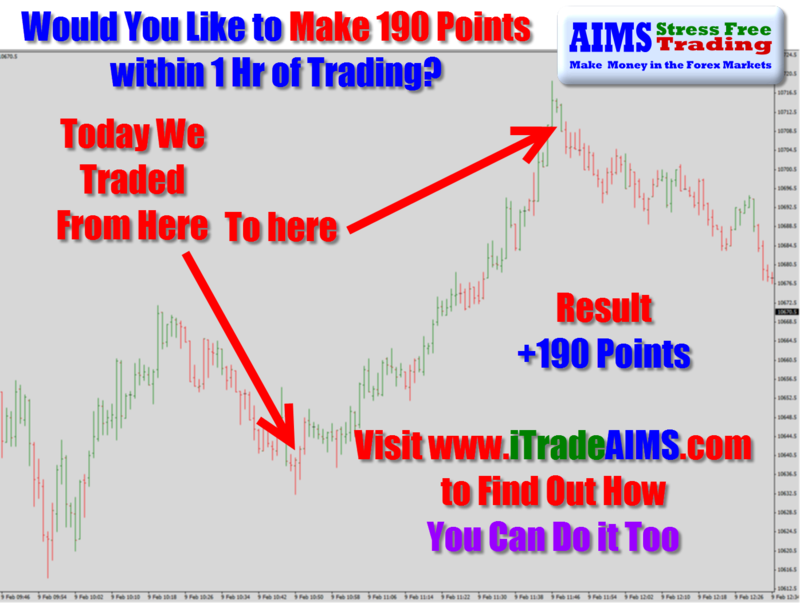 That traded lasted for a good time 30 minutes and brought 100+ pips depending on where you got out but most of the AIMSters (AIMS Traders all called AIMSters) Trading Live in Our Skype Live Trading Room took over 100 points from the short. It was not long before we long again that got us 190 pips. Would you like to learn to trade like this as well? Would you like to make 300 pips in 2hrs too?